All images copyright L.P.Lawhead unless specifically noted. 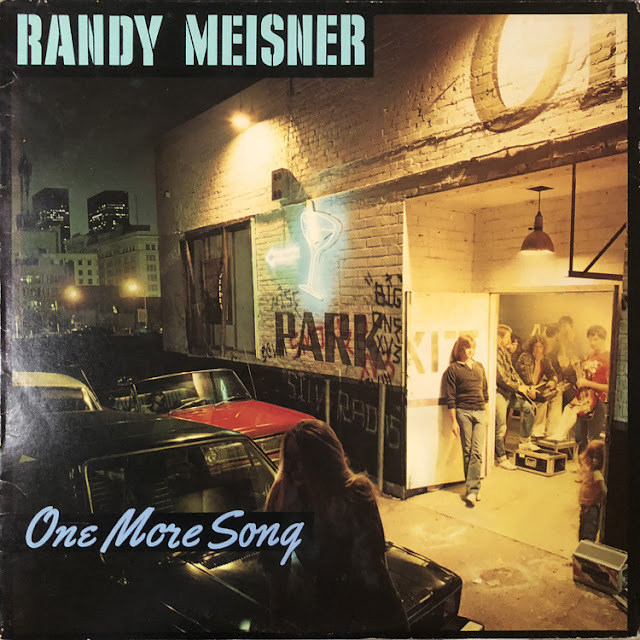 Continuing with the recent theme of promotional albums, today's review is Randy Meisner's One More Song. Here's the story: Late 1980 (my Junior year of college), and I'm hanging out with some friends in the Down Under, the cafeteria in the basement of the dorm where I lived the two previous years. There was a guy playing tunes (I think from the college radio station?). 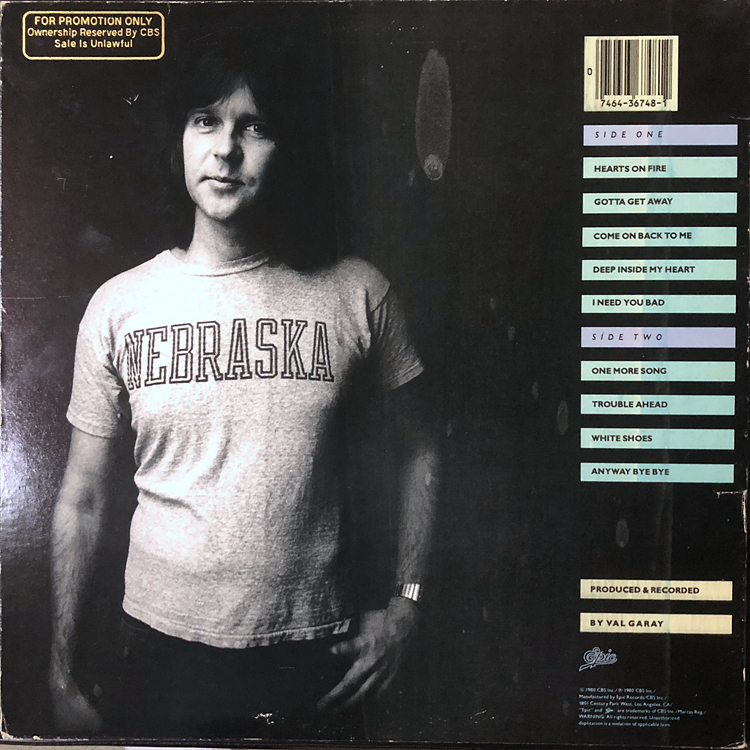 And he offers up the new Randy Meisner album to the first person who can name the band Meisner had played in before. After nobody jumped up, I kind of ambled over, and in my way-to-hip manner asked if he meant the Eagles or Poco. 'Cause even then, I could be a bit of a music snob. Anyway, it won me the album! 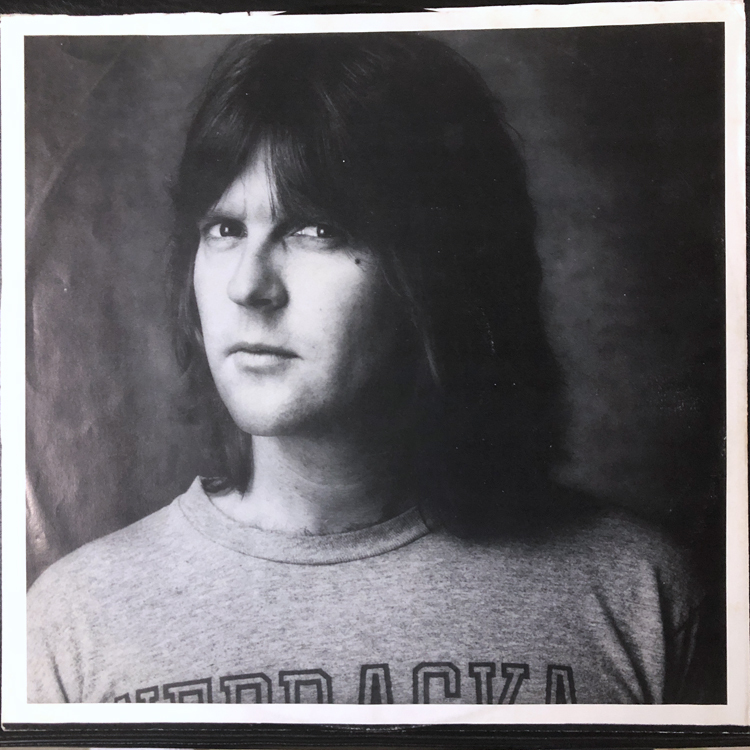 Randy Meisner was a original member of Poco, but was left the band before their first album was released. 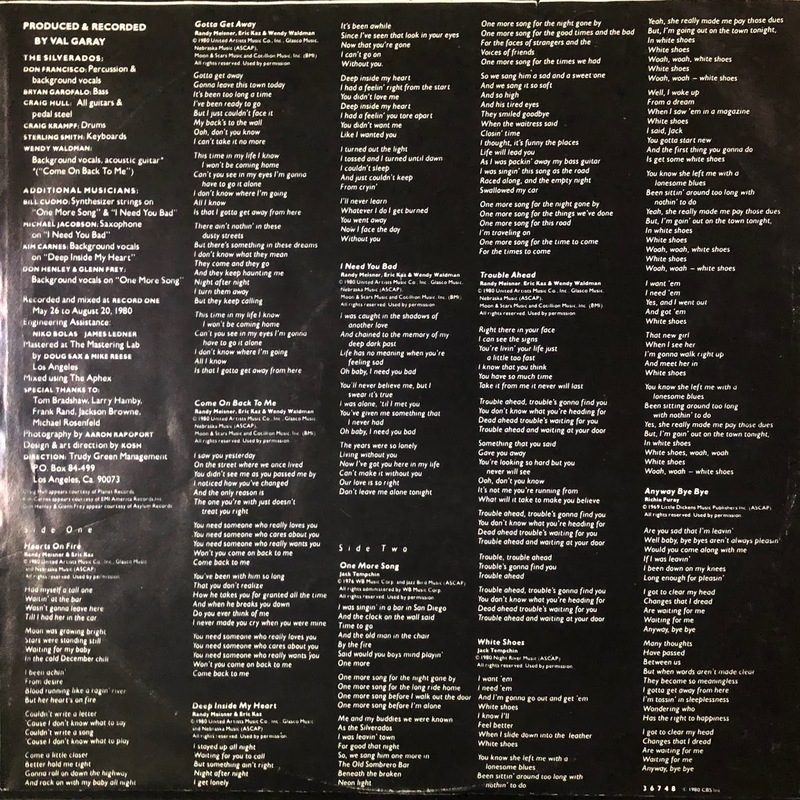 He plays on the album, and the 1989 reunion release Legacy. Subsequently, he was a founding member of the Eagles. He was the bass player for the first 5 of their 6 original studio albums (through Hotel California), wrote (or co-wrote) several of their biggest songs, including One Of These Nights (#2) and Take It To the Limit (#4), and was an integral part of their sound. One More Song is his second solo release after leaving the Eagles in the summer of 1977. Anyway, this is a pretty solid album. A good album, but not a great one. If you know the Eagles, or Poco, then you have a feel for the feel. But it is also very 1980, in terms of production and overall sound. An overall "slick-ness", a big sound. No Banjo, but saxophone... But that's not a problem, just a product of the time. My favorite songs: Hearts On Fire, White Shoes, Deep Inside My Heart. Obscurity: Randy Meisner is kind of the forgotten Eagle, overshadowed by Tiohy B Schmidt... But he's not exactly unknown. But his solo career wasn't much of a splash. 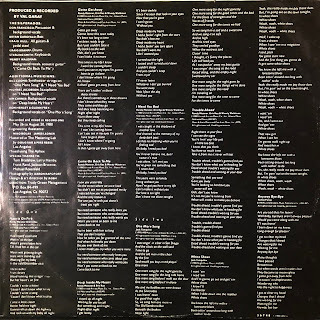 this album peaked at #50, but did spawn two top 40 hits (Hearts On Fire #19, and Deep Inside My Heart #22). He would relaes a third solo album in 1982, and then nothing for 20 years. So I'll say "pretty obscure"